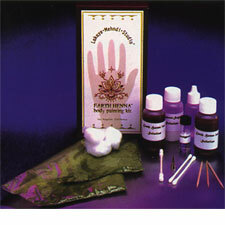 This professional kit includes everything you need to get started with the ancient art of Henna body painting. Our special formula is faster acting, can be refrigerated, and gives a very dark image. Instructions and sample designs included.